You can’t force inspiration. It’s like trying to catch a butterfly with a hoop but no net. If you keep your mind open and receptive, though, one day a butterfly will land on your finger. I came across the quote above from the great animator/artist Chuck Jones and it made me think of a blog post I wrote back in 2009, citing him as an influence. Nine years later, I still feel that way as strongly as ever. I still see hints of his landscapes in my own. His strong visuals, along with those of the early Max Fleischer Popeye cartoons, really imprinted on me. I thought it deserved a second run. 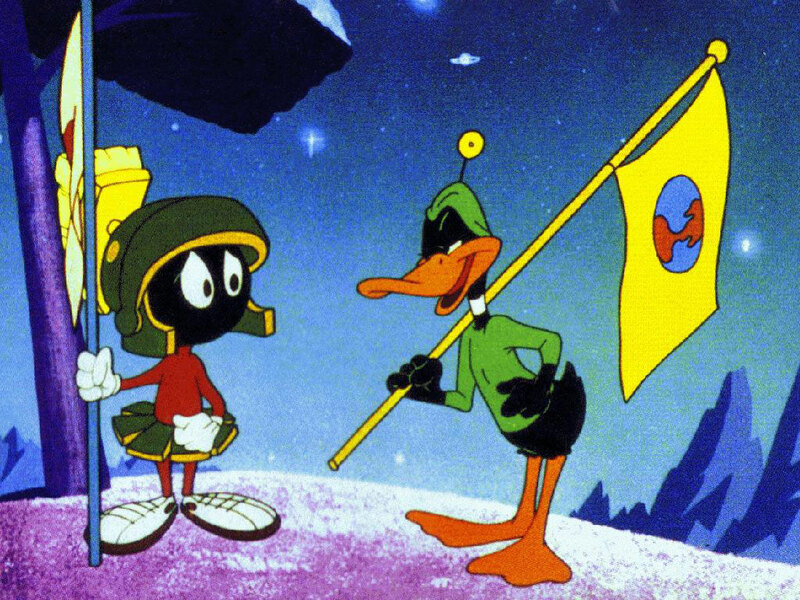 Actually, I just wanted to show Marvin the Martian again. I have cited artists here who have been influences on my work, people who are often giants in the world of art and sometimes lesser known but equally talented artists. But sometimes you overlook the obvious, those ones who have always been right in front of you. Last night [from 2009], TCM honored the great cartoonist Chuck Jones by showing a documentary and some of his landmark cartoons starring Bugs Bunny, Elmer Fudd and Daffy Duck. He also did the Roadrunner/ Wile E. Coyote cartoons as well as the seminal holiday favorite, How the Grinch Stole Christmas. His work was and is a vivid part of an incredible number of people’s childhoods. His What’s Opera Doc? 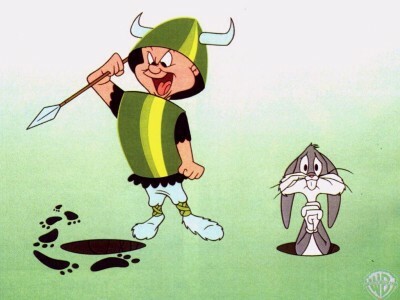 with Bugs and Elmer in a Wagnerian setting with a tragic ending is classic and might be the only exposure to higher culture that many viewers may get. For me, I was always so drawn to the color quality that Jones had in his cartoons as well as the way he interpreted the landscape with a form of artistic shorthand that cut out extraneous detail yet never took away from the feeling of place, unlike some of the lower quality cartoons from Hanna-Barbera in the early 60’s. Don’t get me wrong. I loved those cartoons as well but even as a kid I was really distracted by the poor quality of the landscapes that scrolled continuously behind their characters. 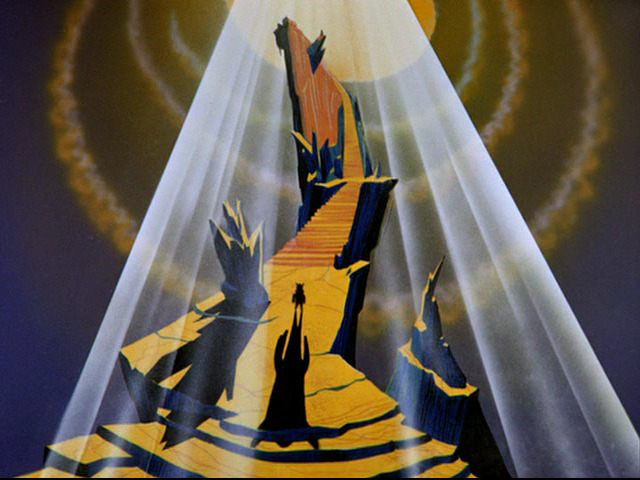 With Chuck Jones, it always felt fresh and real, as though there was thought given to every detail in every frame. Who else could put imagery like the above scene from What’s Opera Doc? before the eyes of impressionable children? Probably only the artists from Disney can match Jones’ work at Warner Brothers, but that’s another post. His work also treated you, as a kid, like you had intelligence. They were smart, clever and nuanced. They never talked down to you. For a kid this was potent stuff. Scratch that- it’s just potent stuff. Period. I was looking for something else online this morning when my eye was caught by something completely off the track from what I was seeking. Like an infant, I am drawn to shiny things waving in front of my face and leave my original goal behind and shift to the shiny new. Maybe this is one of the symptoms that the author of the new book, The Shallows, describes concerning our ever shrinking attention spans due to the fast scan nature of the internet and the ever shallowing basin of our knowledge. Ah, I’m bored with this- let me tell you about the shiny thing. You know, basic animation using the edge of a page where each page is a small incremental movement of whatever you’re drawing on that page so that when you flip all the pages together gives the impression of a film. Wow, that was a tortured sentence. I never really did any animation, even though I often portray the movement of wind and branches and leaves in my work. I tend to think of my work as a single moment captured. But I do love animation and admire those who do it well. 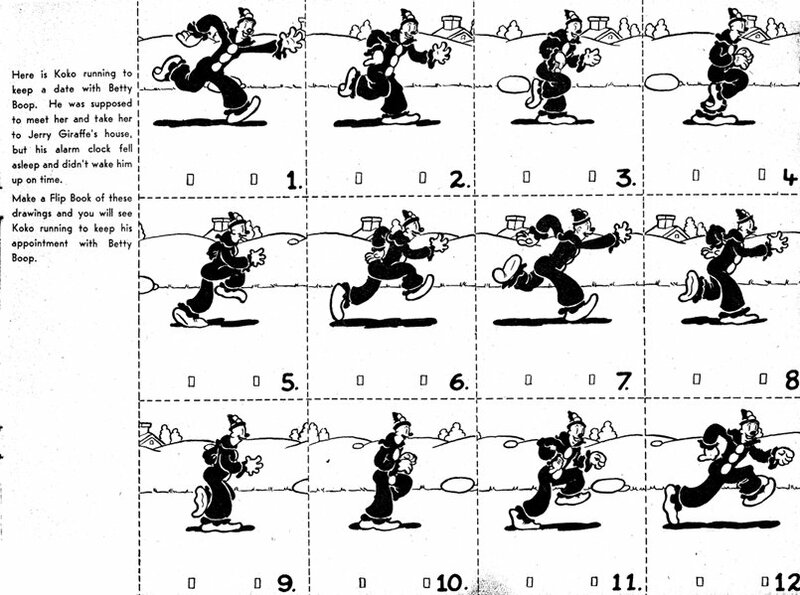 At the top is a page from animation great Max Fleischer’s 1930’s book, Betty Boop’s Movie Cartoon Lessons, that allows you to cut out and assemble your own flipbook featuring his Koko the Clown character running. I found this on a website, Uncle John’s Crazy Town, that features a lot of vintage animation. On his site he has assembled the flipbook and you can see how it runs as a cartoon by clicking here. Here’s another modern one. It’s not as polished as Max Fleischer but it’s clever anda great concept. And fun.